HTML - RTF Converter DLL for NET, ASP .NET, C#, Win32, Win64, ASP, Visual Basic, VBSCRIPT, JSCRIPT, VB6, MFC, Delphi, Powerbuilder. HTML - RTF Converter offers a simple and hassle free method of converting between HTML and RTF formats within your application. You will make just one function call to do the conversion. From interactive Desktop applications, to immersive Web and Mobile solutions, tools to meet your needs today and ensure your continued success tomorrow. With over 120 optimized controls and libraries, the DevExpress WinForms Subscription helps you deliver compelling, easy-to-use business solutions fast. Emulate the look, feel and capabilities of Microsoft Office or replicate the dock based UI of Visual Studio or Adobe Photoshop and take your WinForms applications to an entirely new level with familiar features end-users have come to rely upon. It's everything you need to build your best in one integrated suite. Diafaan SMS Server full edition is a powerful SMS platform for 3G/GSM/CDMA modems, HTTP SMS services and SMPP accounts. This edition has no limits on the number of 3G/GSM modems, SMPP accounts or HTTP based SMS services. It is the perfect solution for projects where you need to apply multiple 3G/GSM modems. 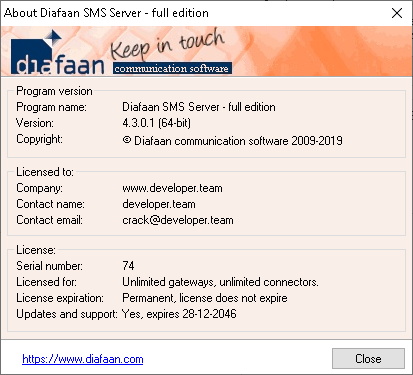 Diafaan SMS Server is an SMS gateway for Windows that makes it easy to send and receive SMS text messages from and to a web browser, web server, email, SQL database or C#/Visual Basic .NET script. AlphaControls - a set of common and some unique components that support skins (AlphaSkins), as well as having some additional features. All skin elements can have their own properties for advanced drawing the gradient, realistic framework, semi-transparent and blurry shadows. Graphics functions produce all the calculations and drawing in real-time. Added property BoundLabel for editing elements. Handled various mouse events, which gives some additional features components. 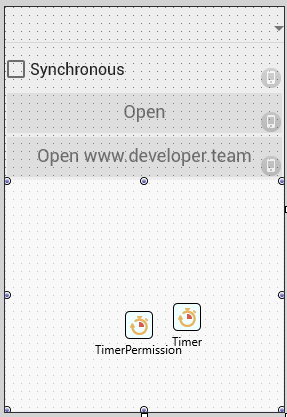 Manager prompts controls the tips in the application and gives them a beautiful view with a lot of settings that can be changed by a special designer. Analogs of standard components provide all the functionality and add a lot of new solutions to improve software quality and their appearance. The nrComm Lib is set of Delphi VCL components, classes and routines for serial communication tasks. Library helps to get access to various devices: serial port, data and voice modems, barcode scanners, Human Interface Devices (HID), Bluetooth, USB, LPT, GSM, GPS and others. It provides solution for quick implementation almost any packet data protocol. It can work with sound and speech. Library allows send SMS messages over connected mobile phone (GSM terminal) and much more. A simple development environment databases, without the help of specialists and programming skills, you will create a Windows application databases. It can be as simple telephone directory and accounting system in your business. The result of your work will be a Windows application that does not require installation and third-party components and the ability to work directly from USB Flash drive. The most complex system information probe in Delphi world. FastReport VCL is an add-on component for generate reports quickly and efficiently. FastReport provides all the tools necessary for developing reports, including a visual report designer, a reporting core, and a preview window. RAD Studio 10.2 Tokyo. Report generator FastReport VCL is a modern solution for integrating Business Intelligence in your software. It has been created for developers who want to use ready-made components for reporting. FastReport VCL, with its simplicity of use, convenience and small distribution size is able to provide high functionality and performance on almost any modern PC. Tab Sessions make your work with tabs even easier. Each tab is saved periodically as defined by the interval for Window Content History. The two features are connected. You can also Restore Last Session by pressing the button on toolbar. This openes the last saved tabs already connected to the server they were connected too before. Simple, easy and fast. Wallaby.js is an integrated test runner that enables highly productive jаvascript (or TypeScript, or CoffeeScript) unit testing workflow. It runs your unit tests immediately as you type and displays various execution results, including code coverage and inline messages, right inside your code editor. The tool is insanely fast, because it only executes tests affected by your code changes and runs your tests in parallel. Delphi and C++ Builder serial communication library for USB connected devices for Android. RTF to PDF Converter DLL for NET, ASP .NET, C#, Win32, Win64, ASP, Visual Basic, VBSCRIPT, JSCRIPT, VB6, MFC, Delphi, Powerbuilder. RTF to PDF Converter offers a simple and hassle free method of converting from RTF to PDF format within your application. You will make just one function call to do the conversion. HTML to PDF Converter DLL for NET, ASP .NET, C#, Win32, Win64, ASP, Visual Basic, VBSCRIPT, JSCRIPT, VB6, MFC, Delphi, Powerbuilder. HTML to PDF Converter offers a simple and hassle free method of converting from HTML to PDF format within your application. You will make just one function call to do the conversion. It contains components and classes for Borland Delphi 7 - 2006, CodeGear Delphi 2007, RAD Studio 2009, Embarcadero RAD Studio 2010, XE - XE10.3, Lazarus (Win32), intended to increase capacity of the client part of database application in part of interaction with applications user. 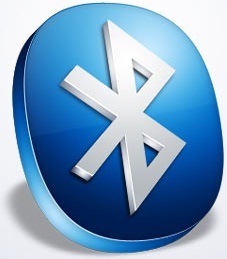 Bluetooth Framework is the Software Developer Kit (SDK) for software developers that provides an easy access to the Bluetooth features on Windows desktop platforms. Bluetooth Framework is the part of Wireless Communication Library but can be used as stand alone library.